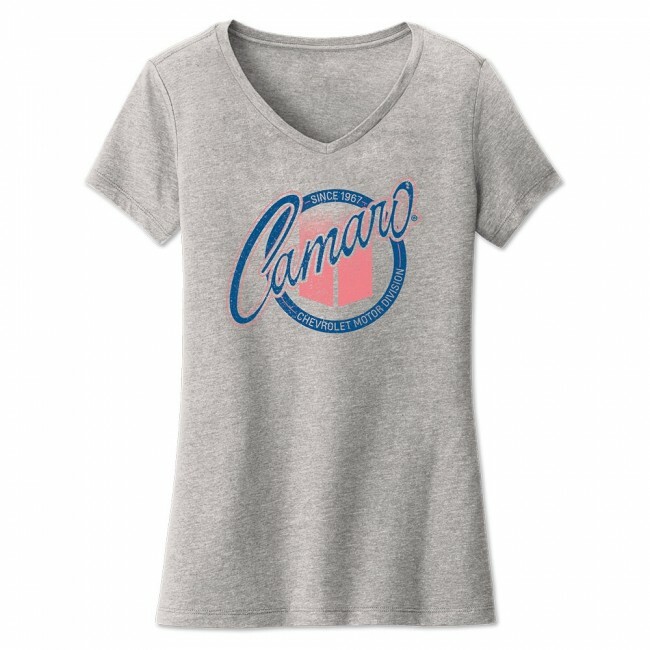 Add this feminine look to your Camaro-wear with this casual v-neck tee with pink and blue distressed accents all around the cursive Camaro design. 90% Cotton/10% polyester. Imported.